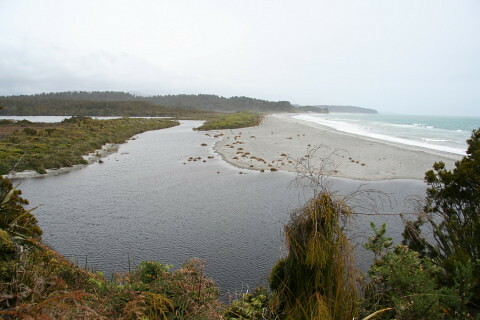 The walk to Three Mile lagoon can either be on the inland pack track (with optional side trip to Okarito trig), or along the coastline. Allow 2.5 hours for the loop walk. The trig provides good views of Okarito township and the lagoon. The walk is signposted at the end of The Strand in Okarito. There is parking beside the beach. The coastal section of the walk should only be attempted 2 hours each side of low tide. DOC places tide timetables on the signposts for the walk. The inland section of the walk can be walked at any time.